This topic contains 1 reply, has 2 voices, and was last updated by spabob 3 weeks, 1 day ago. 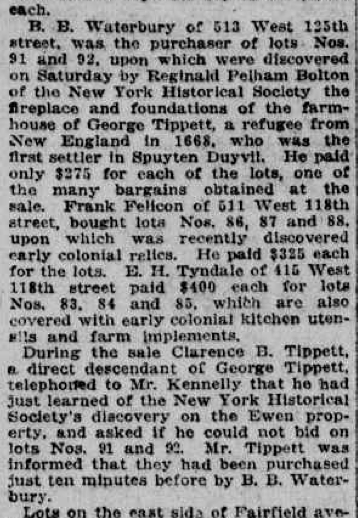 So, it seems Tippett lived on lots 91 and 92 of the Ewen estate auction. The problem was, those numbers do not correspond to the current lot numbers. So, I headed over to The Bronx Topographical Division at the county courthouse which, I previously discovered while waiting for my number to be called for jury duty. Surely this map repository would contain the information I needed. As I entered the courthouse, I checked the building directory to find out what floor it was on but the office was not listed. I asked a court officer and he said that he never heard of the place. Did this office even still exist? I crept around the building and eventually found it. There were a couple of real estate developers and contractors in the office pulling maps to help with construction projects. Behind the desk there was a new topographic engineer running the place and, apparently, I was the first person to walk in and ask for some of the oldest maps they have–because he didn’t know where to find them. After a phone call to a retired employee of the office, he was able to locate the West Bronx Index to Property Maps Vol. 1, a huge crumbling old tome that was handwritten in the 1890’s. It looked like it should contain spells but it was essentially a list of property owners and corresponding property map numbers. Sure enough I found the name Caroline Ewen in the index, which led me to the auction map above. 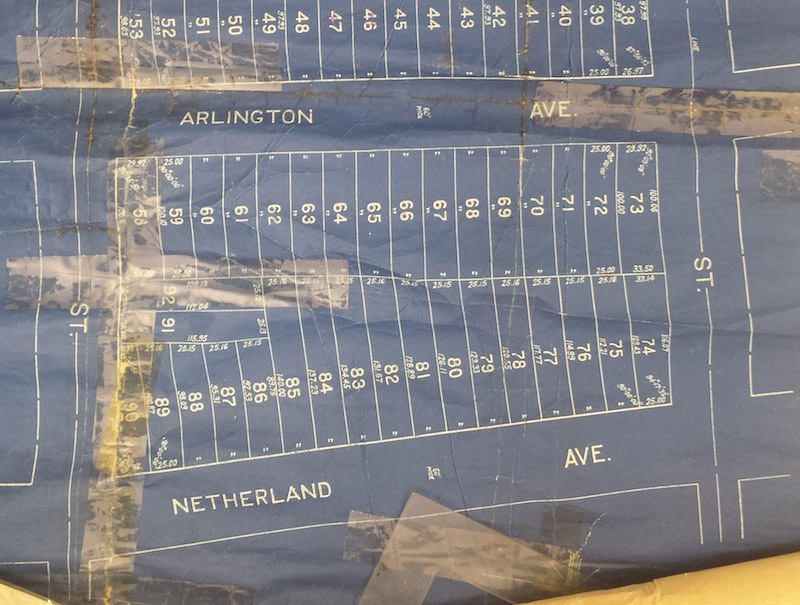 Under the crosshairs of the tape, it shows that lots 91 and 92 were on 231st Street between Netherland and Arlington Avenues–according to the article in the Herald, that was the location of the Tippett house. He found them while turning the soil in his garden. I was impressed by the fine condition of the arrowhead, which was still sharp! 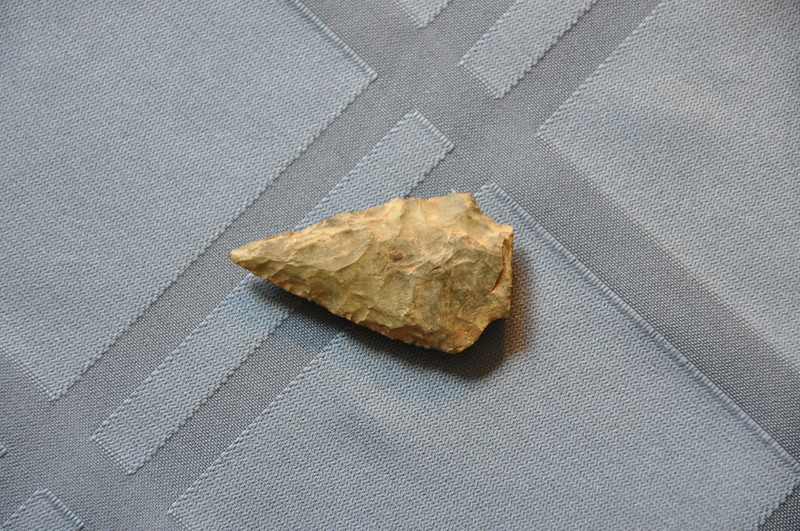 When Reginald Pelham Bolton wrote about a dig on the site, he reported finding arrowheads and oyster shells and it appears there still might be a few left in the neighborhood. Don’t bother asking Fred if he will sell you that arrowhead. I already tried and no dice. So what about the cat lady? 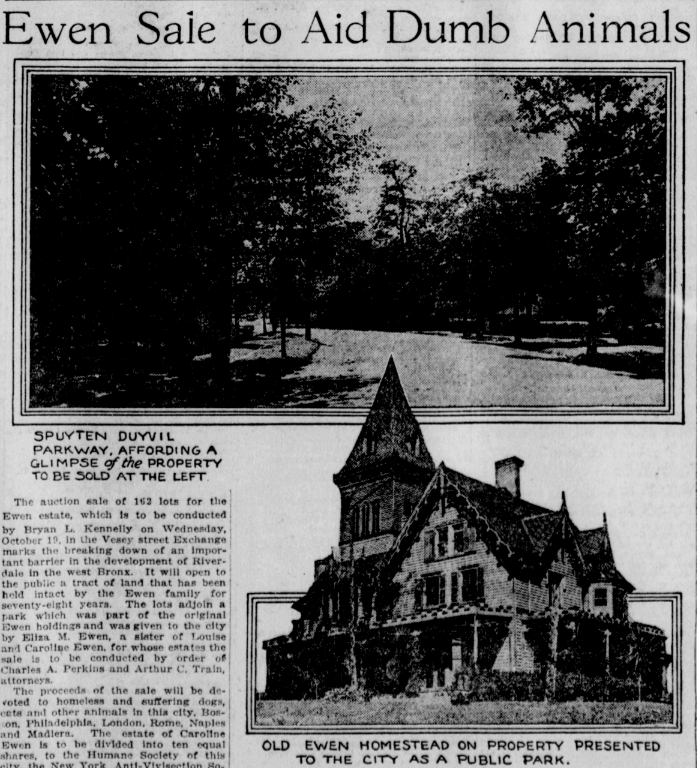 Well, according to the will of Caroline Ewen, the proceeds of the land auction (a total of 162 lots) were to be used to help stray cats and dogs in New York City, Boston, Philadelphia, London, Rome, Naples, and the island of Madeira! The will was challenged in court but upheld. The findings of Bolton in the 20’s and the more recent findings of Mr. Kramer sure tempt me to do some digging in my own back yard and cause me to wonder what else might be buried on my neighbor’s properties in Spuyten Duyvil. This topic was modified 2 years, 7 months ago by ndembowski. Fascinating story. 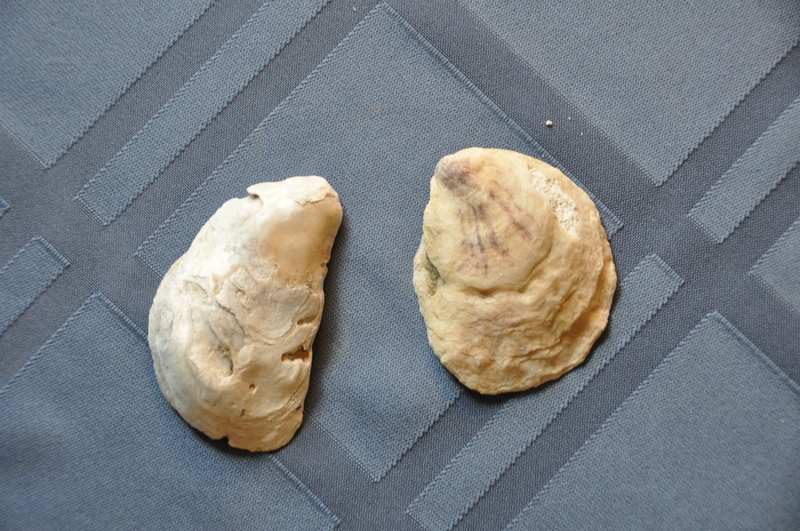 I remember, when I was a kid growing up on Bailey Ave., digging in an empty lot that is now occupied by 2860 Bailey, finding oyster shells.